Dating in your fifties is quite different to dating in your twenties. Everything had changed from when I last went on a date 20 years ago. Facing fifty, with a few more fat cells and wrinkles and a lot less confidence I ventured into the dating game again. More people are finding themselves single in their fifties as I did. Simple math says that there must be men out there feeling just as I did. Internet dating seemed to be the way to go. Quite honestly it allowed me to hide behind a screen while I flexed my underused flirting muscles, for the first time in over 20 years. 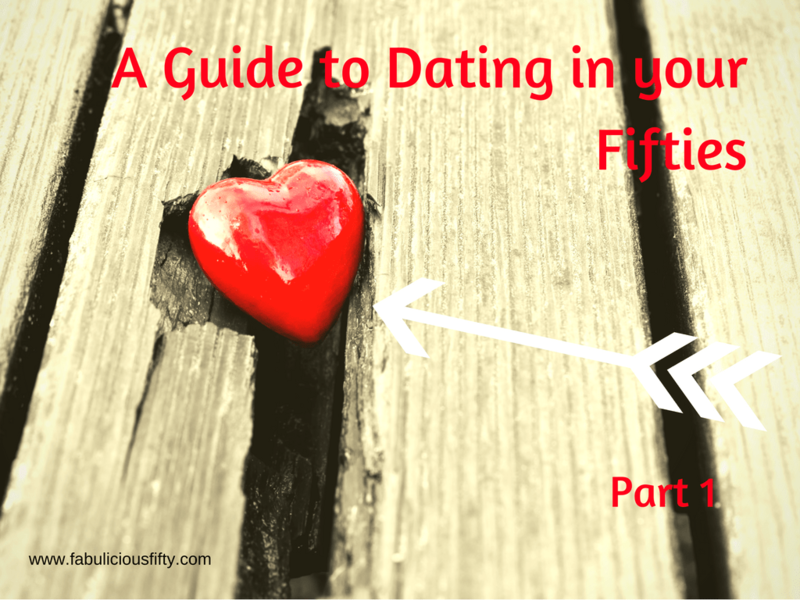 Dating in your fifties – Dare I put myself online? Filling out the online form is quite daunting. I felt quite positive – I found that I was thinking quite honestly about myself and what I wanted in a relationship. Putting up a photo was beyond scary. What if someone sees it? What if everyone looks and thinks I am ugly? Fat? What if nobody looks at my profile or even worse people look and nobody contacts me? And what about the wierdos? What about the creeps? And what would my family say? Feeling brave I pressed the button and put myself out there. Whew – now I need a cup of tea. I decided to be brave and not check on replies for two days as I might not get any response at all. I did get response, but my advice would be not to wait on men to contact you. Be positive and take the initiative – and then go man shopping. The best way to get what you want in life is to be proactive and online dating follows the same rules. Get yourself and glass of wine or a cup of tea and start browsing for what you want. Set the filters quite broadly and start window shopping. Consider people 5 years younger and 5 years older – if you are daring push this out to 10 years. I met some lovely people who were younger than me. Think about distance and geography – although I initially looked across the country and was actually quite happy chatting with men miles away. This meant that I could hide behind the computer screen longer, it really is easier to date someone closer. Don’t get hung up on too many details and requirements. What is the worse thing that can happen? You can make an online friend and practice your flirting skills. (I made loads of friends that I value to this day). Spelling and grammar – I really don’t mind about someone’s education as we have all been given different opportunities in life. However if a profile is badly written with text speak and no care – this is a big indicator. You might also find someone who has littered his profile with xgbnvwein ;voiienm and other random keyboard strokes – he can’t be bothered to fill out the profile properly so don’t be bothered with him. No Image – when I first started online dating I was too shy to put up a photo – I was coming out of a very negative place and I hated what I looked like. Honesty is the best policy though and when I realised that I didn’t want to chat to guys without photos I put mine up. Lack of a photo can also mean married. The great thing about being online is you can play. Simply have fun – drop a note and say Hi – try to mention something that you found interesting in their profile. I often asked about the last book they had read or movie they had seen. It is a good ice breaker and tells you something about them. If you are in a similar place and considering dating in your fifties, come back for more dating advice I have a good few posts lined up with advice on Tinder, on getting ready for the first date and of course some good, bad and funny stories. Seriously, I believe that we all deserve good company so be brave and take the plunge.